Now that the MS Ride is over I feel like we can finally get back to cooking which means I can get back to writing about cooking! One of the things I've really been enjoying lately is cooking fish and vegetables in parchment paper. It is a super easy, quick, healthy and flavorful way to prepare food and while certain combinations give better results than others, you really can't go wrong! Using filets of your favorite fish, fresh herbs and veggies served with pasta, rice or quinoa, the combinations are endless. 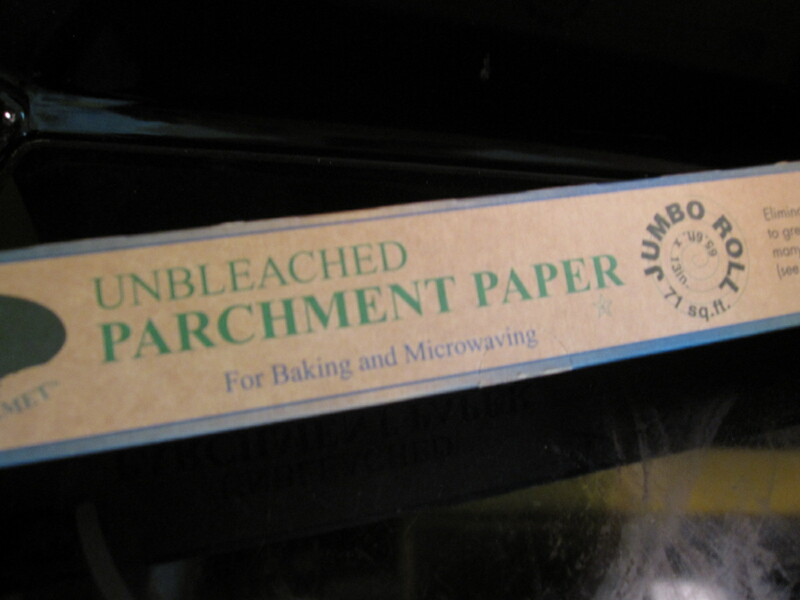 Parchment paper is a type of cellulose paper that is coated with silicone. Its a great nonstick disposable surface for baking and cooking as it can withstand heat and won't burn or smoke in the oven. I like to use it to line baking pans, no need to grease the pan and clean up is easy. But my favorite use is with fish, folding it into little self cooking packets. You buy it on a roll (Whole Foods sells an unbleached parchment roll), just like foil or wax paper, or in pre-folded single serving oven bags. I use both but find the roll easier when you are working with larger pieces of fish. But there really is no substitute for parchment, you can't use wax paper, and while foil gives a similar effect, you have to be careful using anything acidic like citrus or tomatoes. Experiment with different flavor combinations like Shallots, lemon, herbs and butter with fresh cod or drum with olives, tomatoes and asparagus with a splash of extra virgin olive oil. The main thing to remember is that your vegetable need to be sliced thin so they will cook properly in the 20 minutes and you need a hot oven, with most recipes calling for 400-475 degrees. For this recipe I used ginger, shallots and garlic with lemon and carrots, but as I said, play around with your favorite flavor combinations and see what you like best! I served this with a side of classic Aglio, olio and peperoncino pasta using the recipe from one of my favorite bloggers in Rome, but I confess I did add the parmigiano cheese! We also popped a bottle of 2009 Lioco Chard (we currently have the 2010 in the shop) that had been at the house for awhile. Unbelievably good and perfect with the food!!! Preheat oven to 400. Leave cookie sheet in oven to also preheat. Tear off sheet of parchment paper about twice as long as salmon filet. Place salmon in middle, skin side down. Rub top of salmon with olive oil, sprinkle with salt and pepper. Mince garlic, shallot and ginger and rub on top of salmon. Place thinly sliced lemon on top of salmon. Put carrots on top and around sides of salmon. Add dollops of butter on top of salmon and vegetables. Add a big squeeze of lemon juice and the white wine on top and seal parchment. Fold or staple parchment to seal (I like to fold and then tie the ends if the packs are pretty full), to allow salmon and vegetables to steam. Place packet on heated cookie sheet and bake for 20 minutes. Puglian Wine Dinner A mano! Cool October Events @ Swirl!